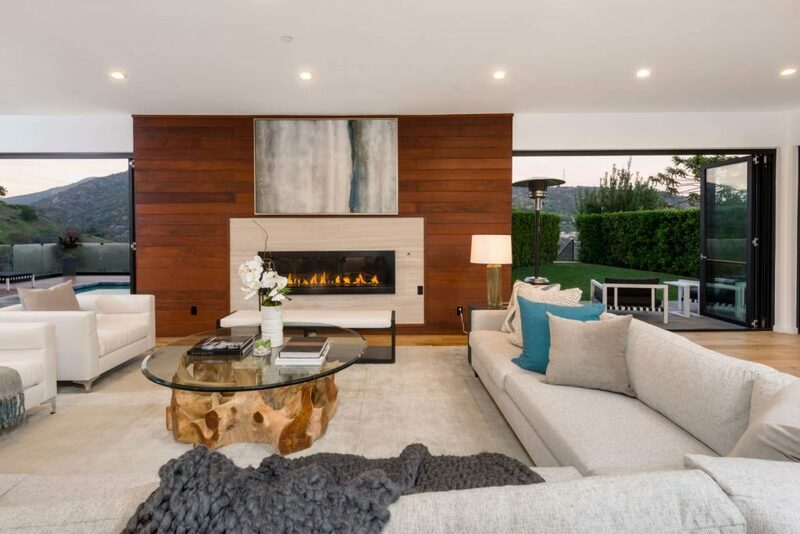 Set in the coveted hills of Brentwood, this gated private estate at 2442 Banyan Drive is a dramatic blend of space, light, and contemporary style. Floor-to-ceiling folding glass doors bring in an abundance of natural light and showcase views of the canyon and city. Unforgettable entertaining unfolds with ease in this expansive, flowing floor plan. The light-filled living room and spacious dining room open to a custom designed chef’s kitchen with Wolf and Subzero appliances, two dishwashers, and a large kitchen island. In the living room, a wall of glass doors opens to a sleek pool with canyon/sky views and and outdoor shower and bathroom. A large office with private side entrance and a guest/maid’s room complete this level. Upstairs, five en-suite bedrooms with wraparound balconies are highlighted by a lavish master retreat with by stunning views, an oversized custom closet, and a luxurious bathroom with a steam shower and spa tub. 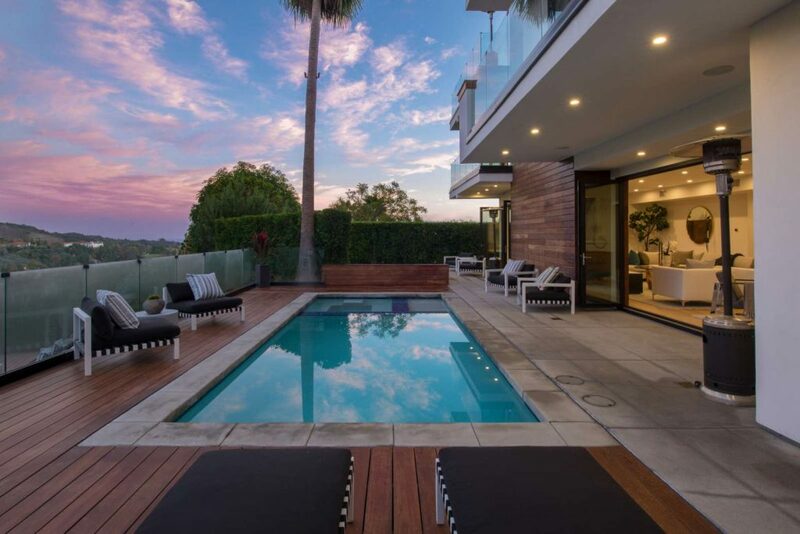 Rise via elevator to the third floor, home to a media room and a spectacular 1,000-square-foot deck with ocean views. A second master suite is also on this level. Smart-home amenities include a Sonos sound system, an indoor-outdoor speaker system, and Nest temperature controls. The singular estate is listed by Elana Fullmer and Cindy Festa for $7,450,000.